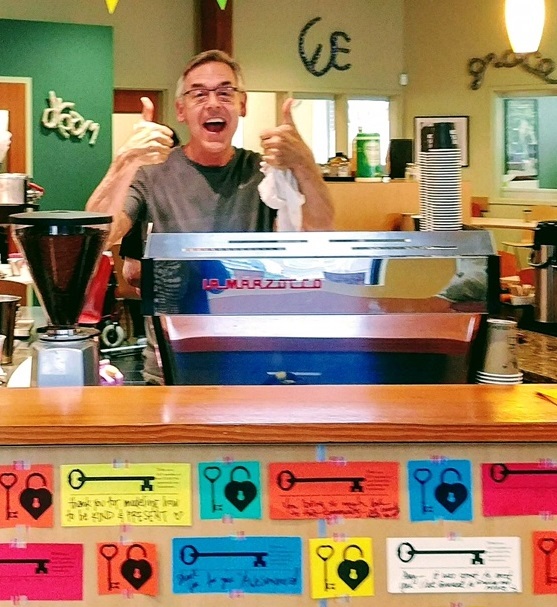 Michael King has been pouring espresso for more than 20 years and after attending a ‘Coffee Hour’ tour, held on the first Thursday of each month, he decided to volunteer his craft to Recovery Café. 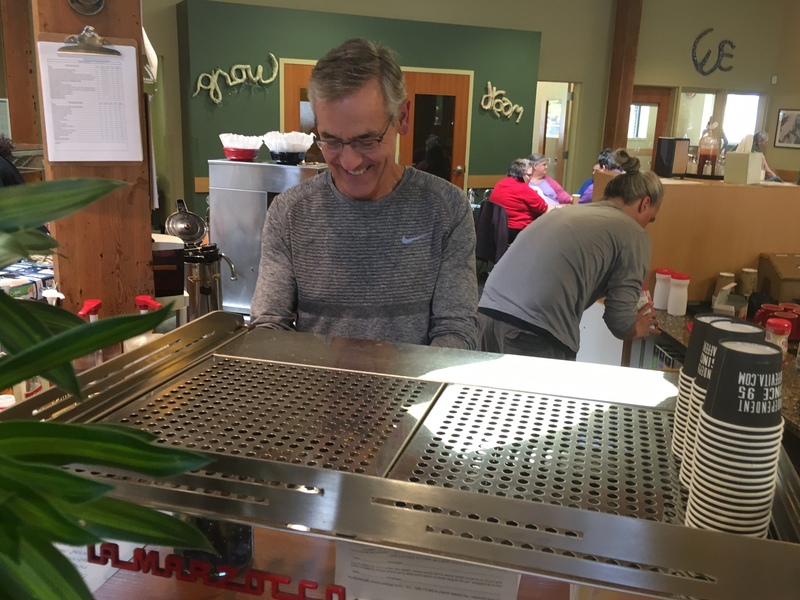 “Being a barista allows me to perform many acts of kindness daily,” he says, “and there is such gratitude around it.” Michael has been sober for 15 years and partly grounds his recovery in the subtle things in life – meaningful little pleasures like the perfect cup of coffee. 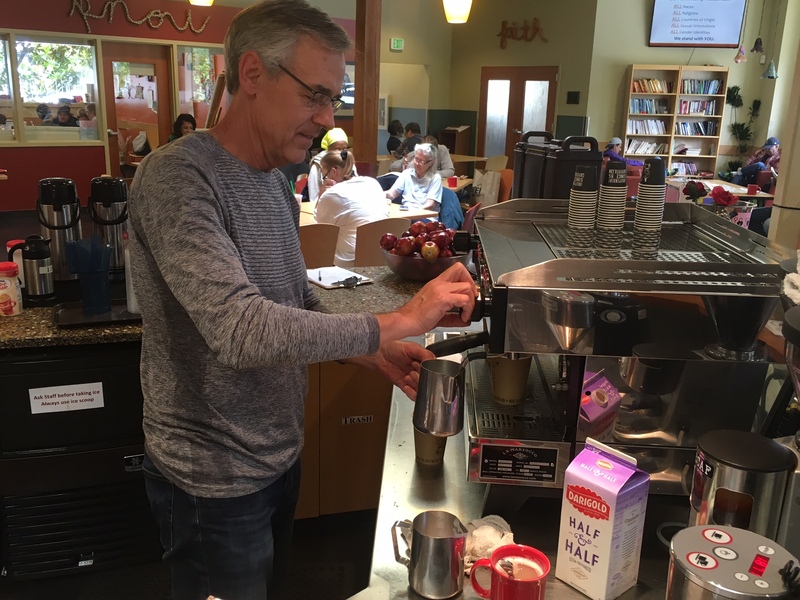 “We were the second place in Seattle to have an espresso machine,” Michael says of New York Deli, a local eatery his mom, along with three of her friends reopened and co-owned from 1980 to 1986. He was hired as an extra hand on weekends, and was eventually offered a managerial position and then as an equal partner. In addition to cooking, baking pastries, making sandwiches, and operating the cash register, he became a barista in 1981. In 1986 he bought our his partners and became President of New York Deli Inc.
What I found was a community that I always interpreted as being in the dark. It was a little scary. It was the unknown, but after I got involved that all went away. There was no difference between their lives and my life aside from luck, and that knowledge really enriched my recovery. 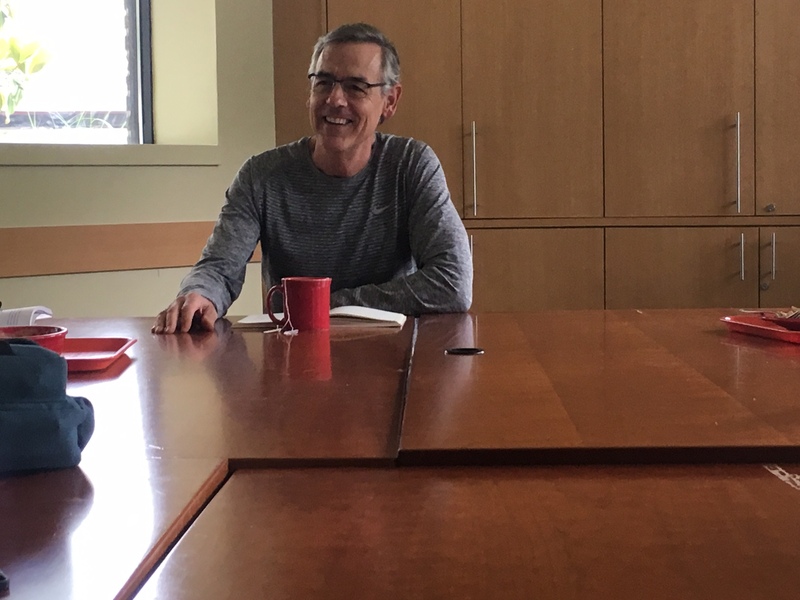 In 2005, Michael created and facilitated a book discussion-style class in the Café’s School for Recovery on interconnectedness. He refined curriculum around three self-help books, “The Untethered Soul”, “Living Deeply”, and “The Four Agreements” read in succession over nine months as a recipe for real change. He also served on Recovery Café’s Board of Directors, and the Finance and Executive Committees, but claims that he never wore those hats well. “My favorite jobs are [preparing beverages] and teaching because I have direct contact with community Members,” Michael says.